Last month I looked at the history of juries in general, international terms in order to get some standard of comparison by which to assess the performance of juries in Russia. A recent article in the New York Times that was critical of the way the jury in the Paul Klebnikov case had operated stated that juries were introduced to Russia “in 1993”. That is a seriously misleading statement, out by 127 years. Juries had a rich history in pre-Revolutionary times, revealing a lot about the attitude of Russians to justice. This article will describe how they came to be as they were, in the context of the history of law in Russia more generally. The liberation of Russia from the Mongol yoke was accompanied by the imposition of an autocracy that some historians consider more harsh than that of the Golden Horde. Genghis Khan introduced a coherent code of laws into his domains, the Yasa, which systematised the customs of the steppe nomads and made government of his gigantic empire possible. But his descendents allowed legality to decay, which was partly why the empire disintegrated. However, they did retain some positive ideas, like religious toleration. When the Grand Dukes of Moscow took over from the Mongols in the early fifteenth century as the ultimate masters of the Russian people, they adopted neither law nor toleration. Moscow was called the Third Rome and religious authority was used to buttress secular power. The Grand Dukes became wealthy as well as powerful after they started keeping for themselves tax revenues which they had previously remitted to the Great Khan in his gilded tent at Sarai on the lower Volga. They now could finance wars of expansion against their (Russian) neighbours. Moscow’s most illustrious victim was the Principality of Novgorod. A hundred years before Magna Carta, this city-state had evolved a system of princely elections, based around a public meeting of all the enfranchised citizens. This was far more advanced than anything in England, which at the time was one of the least repressive regimes in western Europe, partly due to the weakness of the King. Novgorod was not weak, yet its participatory system worked for centuries, undisturbed by the Mongols because the city paid its taxes to the Great Khan. But Novgorodian freedom was offensive to newly powerful Moscow. Ivan III, assisted by the Mongols, attacked the city in 1470, abolishing its public assembly. 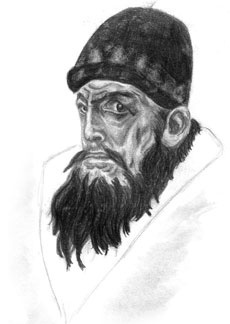 Ivan’s grandson, Ivan the Terrible (or IV), destroyed almost everything else in 1570, including a large percentage of the population. Novgorod had shown that Russians were perfectly capable of governing themselves. Therefore the city had to be destroyed. Ivan the Terrible knew no law beyond his own, often capricious, will. Like many tyrants, including his grandfather, he actually promulgated a book of laws, in his case the Sudebnik of 1550. But then as later, the laws in Russia were intended for everyone other than the autocrat. The essence of the rule of law is reciprocity between the rulers and the ruled, in the interests of long-term stability. But neither Ivan personally, nor the state he created, were stable. Ivan’s lawlessness led ultimately to a collapse of government in the Time of Troubles, when Russia nearly broke up. Order was restored with the election of Michael Romanov to the throne in 1613. For the first and last time, there was an element of wider participation in the affairs of state since he was chosen by a (small) group of landowners sitting in the zemsky sobor, or assembly of the land. Until the middle of the eighteenth century, the gentry were for most practical purposes serfs too, since they had to obey the tsar in almost all things. In the second half of the eighteenth century, Peter III and Catherine the Great changed that. However they did so in a way which made the underlying position even more unstable. They liberated the gentry from any duty of service to the state without at the same time liberating the serfs from the masters they were supposed to be serving in the state’s ultimate interest. This completely one-sided constitutional settlement produced the greatest flowering of culture in Russian history. Most of the world-class writers and other artists which the country produced in such abundance in this period were beneficiaries in one way or another of the financial security which gentry estate culture gave them. But this freedom depended on complete control over the working population, both urban and rural. Serfs even had to get their master’s permission to marry. And if they disobeyed, their owner could flog them, if necessary to death. The inevitable consequence was savage uprisings. The biggest of them all was led by Emilion Pugachev and lasted for two years until it was put down, with reciprocal savagery in 1774. There had been at least fifty other revolts, on a smaller scale, in the previous twenty years alone. Things could not go on like this. Even some of the gentry were starting to feel the injustice of their position. If they, with all their privileges, deserted the monarchy, that would be the end. So when, in 1790, Alexander Radishchev expressed his views in the first book ever published in Russia which was critical of serfdom, the elderly and now bitterly reactionary Catherine the Great reacted with fury, sending him to prison for ten years. Two years after he was released, even though by that time the relatively liberal Alexander I was on the throne, Radishchev was still so disillusioned that he committed suicide. The situation was temporarily saved by Napoleon, whose invasion of Russian in 1812 forced the autocracy, the gentry and serf population to sink their differences in defence of the Motherland. But relief was only temporary. When the Army marched to Paris in 1814, they saw that the rest of Europe lived in relative freedom under broadly accepted laws. Russian society never completely recovered from the shock. In the long run, the Code Napoleon did more to undermine Russian autocracy than the Grande Armee could ever have done. The pen is mightier than the sword. Alexander I died in 1825 and his martinet younger brother, Nicholas, ascended to the throne in disputed circumstances. On a freezing December day in St Petersburg, the first ever uprising by the possessing classes in Russia took place. This was the famous Decembrist revolt—though demonstration would be a better term as it was such a small and ineffectual affair. The main demand was for constitutional government similar to what the leaders had seen while on military service in France. Nicholas put down the revolt decisively and dealt with the leaders harshly. More importantly, Nicholas (who worked tirelessly for the good of his country as he saw it) believed that the sword should rule and so imposed a regime of philistine militarism which turned Russia into a gigantic barracks, stifling innovations of any sort. But he still feared the power of the pen. Remarkably, he personally censored the works of Alexander Pushkin. (See the account of his reign in the review of the Marquis de Custine’s book The Empire of Tsar in PASSPORT, November 2009). The spirit of Nicholas’s government was captured by his chief of security, the first head of the latterly infamous Third Department of the Imperial Chancellery, Count Alexander von Benckendorff. He wrote, “Законы пишутся для подчиненых, а не для начальства.” (“Laws are written for subordinates, but not the administration.”) Neither Benckendorff nor Nicholas were cruel or overbearing men. They took the position they did because they thought that the state needed to be strong. However, the sword they had forged by emasculating the pen turned out to be weak. The extent of this weakness was revealed in the Crimean War, which broke out a year before Nicholas died. It ended in military humiliation due to the technological backwardness of a state which tried to rule civil society along military lines—in other words, without any constitutional reciprocity. Fortunately for Russia, Nicholas was succeeded by his son, Alexander II, who was determined to modernise the state. After hastily terminating the Crimean War, Alexander carried out three great reform programmes. One, his military reforms, do not concern us here, but the other two were critical to Russia’s constitutional evolution. In 1861 he emancipated the serfs, and in 1864 he enacted a comprehensive reform of the courts and the legal profession. This was inevitable once the serf population had become part of civil society. Arguably the most important aspect of that reform was the introduction of juries. The old system of inquisitorial state courts, in which most evidence was written and not subject to cross-examination, was replaced by public courts not dissimilar to those in the Anglo-Saxon world at the time. One aim was to show the previously oppressed peasantry that they now had a stake in government. 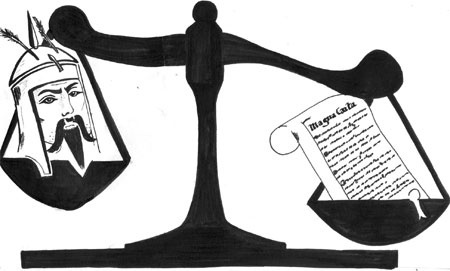 The legislative and executive branches of government remained in the hands of the autocracy, but the judicial was now substantially in the hands of the people. All male citizens between twenty-five and seventy were eligible to serve as jurors. The lawyers who pleaded in the courts tended to be bourgeois, many having graduated from the new Imperial School of Jurisprudence (where, incidentally, Tchaikovsky was educated). The law reform created bar associations, which regulated the behaviour of lawyers in the courts and offered a means of curbing the misconduct of judges. A new legal community, completely unknown to Russian history, emerged apparently from nowhere in the 1860s. Many of those who argued against the reforms before they were implemented, including initially Alexander II, thought that people with so little experience of law could not possibly operate a system which in England had taken five hundred years to evolve. An English visitor, Herbert Spencer, wrote that a jury system would not work amongst the Russians because “they lack that substratum of honesty and truthfulness on which it alone can stand.” Others felt that the underlying principle of juries was at fault since it implied mob rule. The main support for juries came from the liberal gentry, raised on the big serf-owning estates. Even Konstantin Pobedonostsev, who was later to become the leader of the reactionary forces in the country as Ober-Procurator of the Holy Synod of the Orthodox Church and tutor to Alexander III and Nicholas II, argued at the time for the benefits of publicity in court proceedings as a guarantee against tyranny and corruption. There were problems, of course. For example, the jury lists were poorly organised, and jurors were treated abominably. But the main fears of the reactionaries, that Russian people were incapable of understanding lawful procedure and dispensing even-handed justice were proved spectacularly wrong. Now the law was not just for administrators, but for subordinates too. Benckendorff had been reversed. And the Russian autocracy, both Tsar (however liberal) and officials (however conscientious), were not accustomed to being reversed. The result was that a political backlash against the courts began to gather strength in the 1870s. The liberals had won the battle for juries but not the larger war for fundamental equality under law for everyone. The idea of reciprocity between the state and the people was as far off as ever. The Moscow police were said to complain that the new courts “don’t let them hit or yell at people, or let them take money from anyone.” The Minister of the Interior accused juries of fomenting revolution. And the Governor of St Petersburg, Feodor Trepov, complained of having two masters: the Tsar and the courts. In an autocracy, this was a valid point. The big challenge to the system came when the first terrorists began to operate in Russia. These people felt, with some justice, that even with juries and the new courts, the imperial administration was no more liberal than before. Criminals now got a fair hearing, but that changed nothing politically. The result was that on 24 January 1878 a young woman called Vera Zasulich set one of the most destructive balls in history rolling by making a publicity-orientated gesture of terrorist violence against the same Feodor Trepov. Unlike the Pugachev revolt and the many individual murders of officials, Zasulich’s act had neither a personal motive nor a specific practical goal: it was pure terrorism. Ms Zasulich acted in response to the fact that the Governor had ordered the beating of a student political protester so viciously that he went insane. That morning, while Trepov was receiving public petitioners in his office, Zasulich walked in with a revolver concealed under her skirts. Once the other visitors had left, she pulled out the revolver and shot the Governor in the bottom, after which she dropped her gun and waited to be arrested. Zasulich was put on trial in front of a jury and the country’s press. Dostoyevsky was in the public gallery. The judge was one of the most distinguished of the new men to emerge in postreform jurisprudence, Anatoli Koni. Zasulich did not deny what she had done, instead she argued that unless the agents of the autocracy were challenged meaningfully, Russia would continue to be a repressive, unjust and violent society. In effect, she argued for terrorism as a legitimate response of outraged public conscience to a brutal, militarised autocracy that arguably still had its roots in the Mongol mentality. The trial was a sensation, and the outcome in doubt until the moment the jury foreman stood up to deliver the verdict. In the next issue of PASSPORT, I will discuss the outcome and ramifications of this case, and how a series of enlightened jurists tried to promote respect for law in the face of both state authoritarianism and increasing revolutionary activism. Could juries help to bring a meaningful element of reciprocity to the judicial branch of government in Russia?